In a sudden turn of events, Akshay Kumar has found himself in the plagiarism row with his latest release, Pad Man. 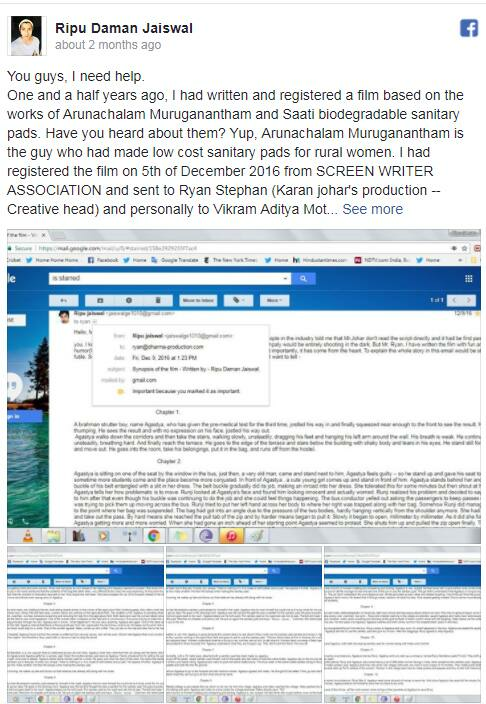 While Akshay’s intention was to only educate the masses by narrating the inspiring story of Arunachalam Muruganantham, who introduced low cost sanitary pad in rural areas. 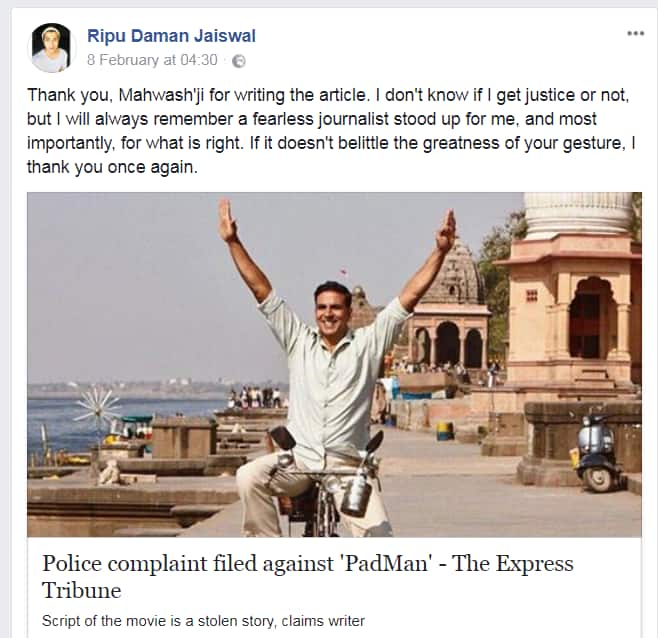 This certain writer named Ripu Daman Jaiswal has now issued a statement accusing the makers of Pad Man for lifting his story which he had written one and half years ago. He’s also shared a Facebook post with screenshots of his script that he had sent to the creative head of Dharma Productions a year and half back but failed to receive any response from them. Now that the film has hit the screens despite his plea, he is left with no choice but to get legal help. It’s left to see how will the makers respond to Jaiswal’s allegations. Will Pad Man be dragged to court? PS: In case you aren’t aware, Pad Man is winning a lot of positive response from the audience for touching upon such an important subject. The need of the hour, is what everyone are claiming it to be. Let’s see what destiny holds for Pad Man. Until then, stay tuned to this space for more updates on this story.